Sun and Moon Celestial Essential Oil/Perfume Diffuser Necklace is one of our newest diffusers in our collection. 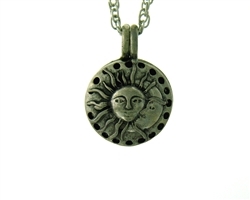 A quarter sleeping moon is cuddled up to the sun that is shining brightly and seems to be very content to have the moon as it's best friend in this striking diffuser. 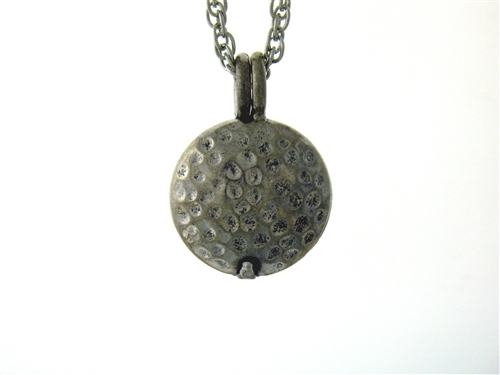 Holes to diffuser your scent or oil surround the perimeter of the locket adding to beauty and detailing. Both Sun and Moon are 3 dimensional and highly detailed. 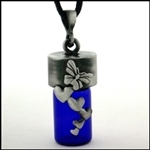 This will be a daily wear pendant that is sure to get you compliments! 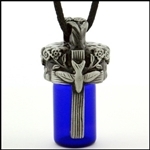 All of our lead-free pewter diffusers come on a 24" rhodium chain. They come with six replaceable diffuser pads. Place a drop or two of your favorite oil or fragrance on the pad and place it inside the diffuser. You'll smell great all day when you wear the diffuser as a necklace, or you can hang it as an air freshener. This diffuser is 1-3/8" long and 7/8" wide. An embracing Quarter Moon and Sun decorates this diffuser.